It is always fascinating to watch a thin strip of white dough magically expand into a golden-brown, chewy, fluffy and crispy stick in a pot of sizzling oil. 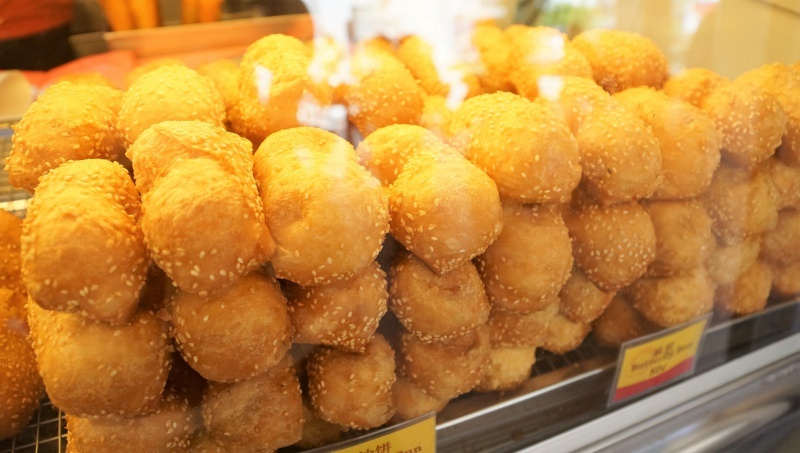 Be it the You Tiao, Hum Chee Peng or the Butterfly Bun etc, the comforting staple street food, the sight and smell of this morning treat is nostalgic. This Chinese churros is definitely hard to ignore when we come by one. 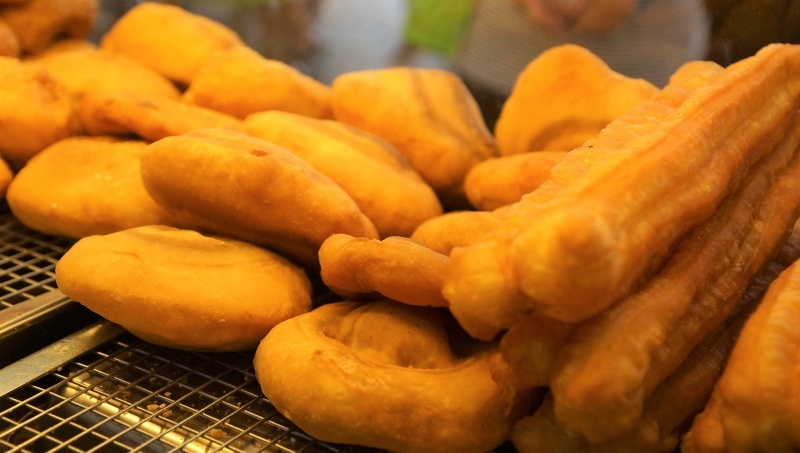 Pasir Ris Dough Fritters has been in business for more than a decade, starting in Pasir Ris and then relocating to the present location at Bedok. 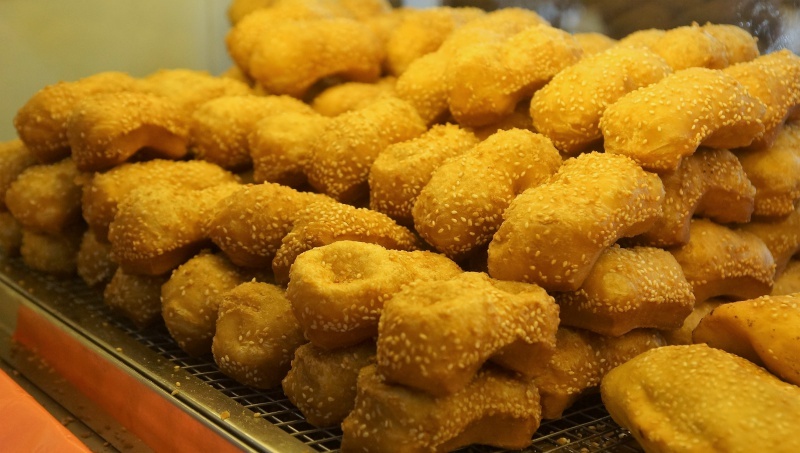 The hawker stall is forever filled with the beautifully fried dough, piling up nicely in the display beckoning passers-by with its array of selections. However, it is always the pot of frying oil that attracts our attention and determines our decision to purchase. 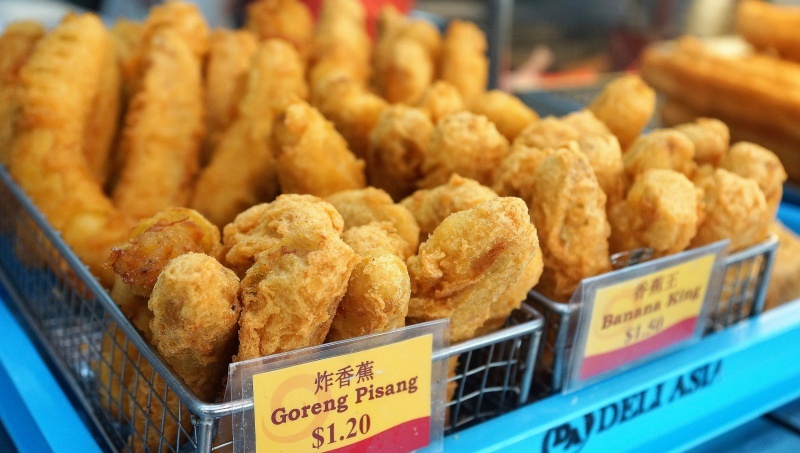 Good dough fritters need fresh oil to deliver the ideal flavour, and prevent rancid smell from a pot of stale oil, Pasir Ris Dough Fritters knows the requirements well and it is one of the key factors leading to its popularity. What truly makes Pasir Ris Dough Fritters stand out among other fritter stalls is the sublime quality of the fritters(texture, flavour etc. ), and the variety of the fritters. 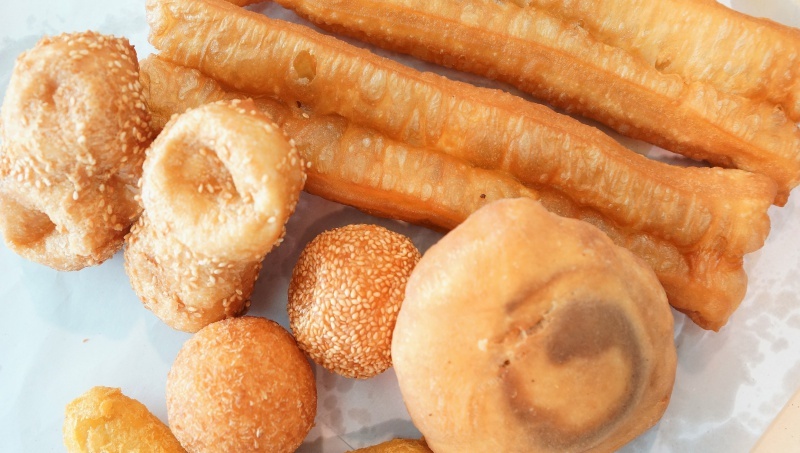 Youtiao has a lovely crispy crust, a light and airy centre, and the alluring fragrance from the slightly salted quality flour. 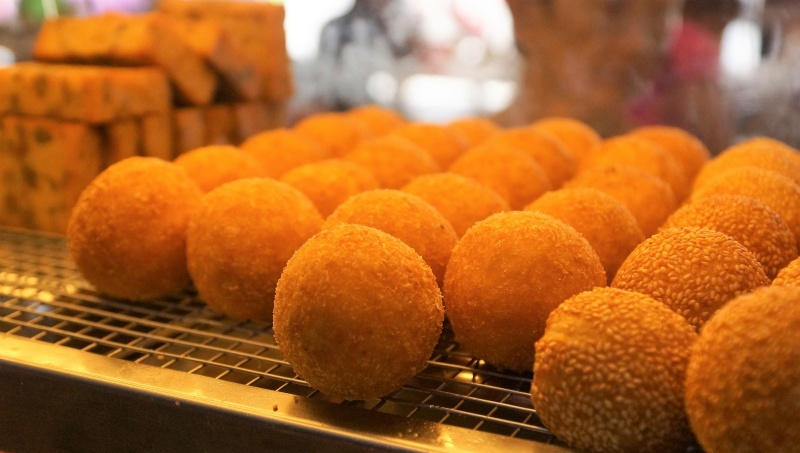 A dough that has the perfect thickness and chewy texture encases fragrant mung bean paste, and that is how the Yellow Bean Sesame Ball(Mung bean balls) stole our hearts. Hum Chee Pian or the salted bun was fluffy, soft and boosted with well-balanced spices for a medley of nice flavours. Bananas King ($1.50) is relatively big in size when compared to many others Goreng Pisang, Besides the sheer size, Pasir Ris Dough Fritters uses good quality fresh bananas with a custardy flavour, and not the usual overly-ripe, mushy Pisang Kepok species. It does cost more ($1.50 per piece), but in return, you get to enjoy the best of battered bananas. 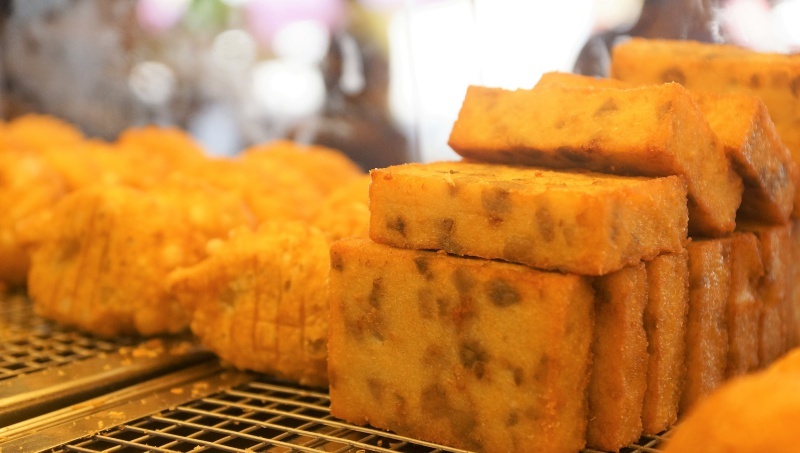 Similarly, for the yam and cassava products(battered yam, mashed yam balls), quality Thailand produce are used for the fillings, producing a nice flavour and texture with a pleasant crust to make good yam fritters. 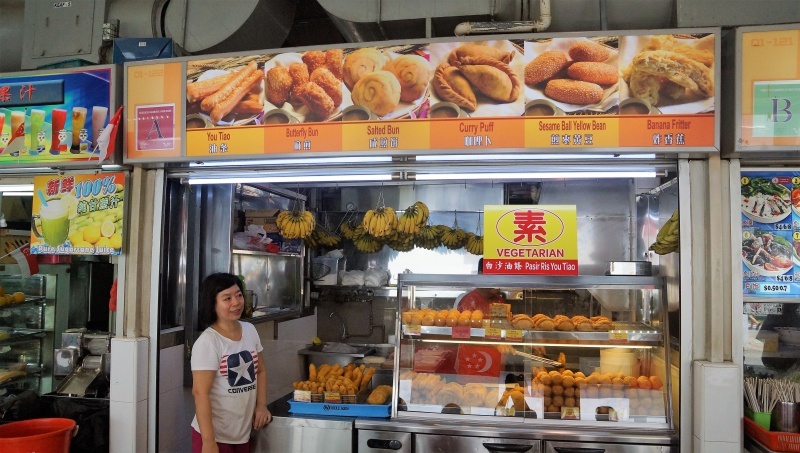 It is not easy to find a dough fritter stall that is able to deliver the vast array of fritters with the such promising quality, Pasir Ris Dough Fritters is probably one of the few able to make the mark. Do try the Fish soup and Meatball soup next door (Bedok Ah Koon Fish Soup) as well, it is one of the best in town.